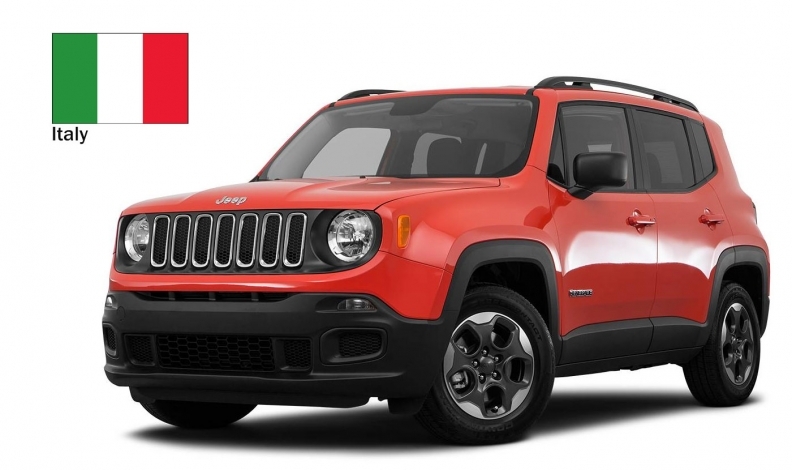 The Jeep Renegade subcompact crossover is made in Italy. Fiat Chrysler Automobiles is developing contingency plans to adjust its manufacturing footprint should President Donald Trump’s hardball trade tactics result in higher auto tariffs or the collapse of existing trade agreements. The Italian-American automaker has been entertaining alternative production plans since Trump was elected, said Bob Lee, the powertrain leader on CEO Sergio Marchionne’s 25-member Group Executive Council. Trump has sent shivers through the industry by contemplating a 25 per cent tariff on imported cars and parts, a move that could cost the U.S. as many as two million new light-vehicles sales annually, according to researcher LMC Automotive. Automakers and suppliers based outside the United States slammed the plan this week, warning of higher prices for consumers and hundreds of thousands of lost U.S. jobs. Trump ordered an investigation into auto imports last month under Section 232 of the Trade Expansion Act of 1962, the same probe he used to impose tariffs on imported steel and aluminum. While some analysts discounted it as a negotiating tactic to pressure Canada and Mexico on terms of the North American Free Trade Agreement and the European Union, LMC has said the odds are increasing that tariffs will be imposed. Fiat Chrysler said in January it will invest US$1 billion to adapt its Warren, Mich., factory near Detroit to take over production of heavy-duty Ram pickups that are currently made in Saltillo, Mexico, starting in 2020. Trump immediately hailed the announcement, which will create 2,500 U.S. jobs, though he has incorrectly implied on several occasions Fiat Chrysler is abandoning its Mexican plants. The automaker forged from the 2009 bankruptcy of Chrysler LLC has three assembly plants in Mexico and two in Canada. FCA's Brampton assembly plant builds the Chrysler 300, Dodge Challenger and Dodge Charger while the Dodge Grand Caravan and Chrysler Pacifica are made in Windsor, home to the automaker's only Pacifica plant. Its six U.S. plants are at full capacity in their current form, Lee said at an event to promote the company’s 2019 model-year lineup in Chelsea, Mich. Some Jeep models are also made outside of North America, where the company generates 66 per cent of its revenue and 83 per cent of its operating income, according to data compiled by Bloomberg.